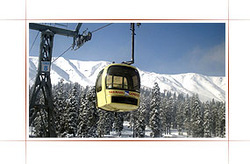 DAY 1: ARRIVAL - SRINAGAR - SHIKARA RIDE:- Srinagar Airport pickup and transfer to Houseboat. Afternoon Boat Shikara ride over the Lakes including visit to Floating Gardens, Vegetable Gardens and Islands. , Overnight stay at Houseboat. DAY 4: SRINAGAR - SONMARG - SRINAGAR: - After breakfast full day excursion of Sonamarg. You may take a pony ride (at your own cost) to Thajiwas Glacier where snow remains round the year. Return to the Houseboat by the evening for overnight stay. DAY 5: SRINAGAR - PAHALGAM - SRINAGAR:- Today you will be transferred by road to Pahalgam (94 kms/2.5 hrs) Valley of Shepherds. You will have a rare opportunity to visit the Saffron fields. Also visit Avantipura Ruins & Anantnag Sulpher Springs en-rooted Enjoy the bounty of Nature at Pahalgam, located on the bank of beautiful Lidder River, Return to Srinagar, Overnight in the Houseboat. DAY 6: SRINAGAR AIRPORT DROP:- After breakfast Stringer Airport Drop for your onward flight back home. 05 Nights accommodation at Srinagar in House boat.